Mycoplasma contamination can seriously impact the reliability, reproducibility, and consistency of experimental results, representing a major problem for basic research as well as for the manufacturing of bioproducts. A conservative estimate states that between 15–35% of all continuous cell cultures are contaminated with mycoplasma. Since contaminations are very difficult to detect or prevent, the presence of mycoplasma can remain undiscovered for months. Make sure your can rely on your experimental results. We provide powerful products for reliable detection and successful elimination and prevention of mycoplasma contamination. A simple and exceptionally sensitive 2-step luminescent assay to screen your cell cultures for mycoplasma contamination. 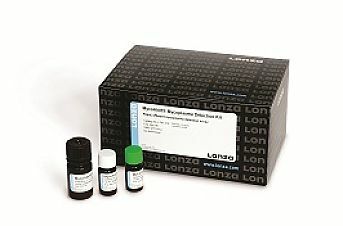 This bioluminescence assay measures the activity of enzymes found in all common mycoplasma and acholeplasma contaminants. 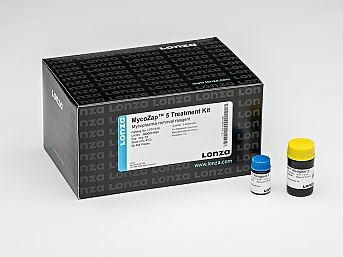 Rescue your mycoplasma-infected cell culture with MycoZap™ elimination reagent. 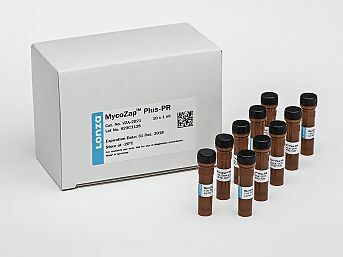 MycoZap uses a combination of antibiotic and antimetabolic agents and is active against most mollicutes, including Mycoplasma, Acholeplasma, Spiroplasma and Entomoplasma species in cell cultures. You eliminate mycoplasma contamination within 4 days, with minimal toxic effects on the infected cells. MycoZap Antibiotics can simply be included in your culture media to prevent mycoplasma infection. It can be used in combination with other antibiotics and offers complete protection against mycoplasma. You have a wide choice of different antibiotics to fit your needs. Download the Mycoplasma Solutions Brochure here. You can fill in the form below to request to try the products.